* .. ELECTION NOTES: Ever wonder what good could have come if Meg Whitman had used that $140 million she spent on her failed campaign for governor to instead fund charities? 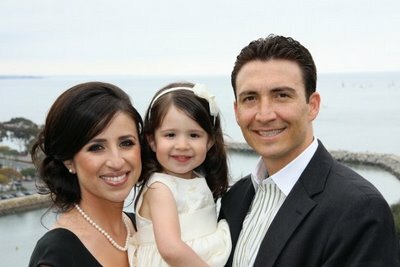 ... Now that Michael Rubio is heading to Sacramento and the State Senate, all eyes will be on who Gov. Arnold Schwarzenegger will appoint to fill Rubio's county supervisor seat. Former assemblywoman Nicole Parra is in the mix, as is Garden Pathways director Karen Goh. And a source told me not to rule out Wendy Wayne, the former First Five Commission chairwoman who would be a popular pick. ... The race between Rep. Jim Costa and Republican challenger Andy Vidak in the 20th Congressional district is too close to call, but it's curious how many farmers turned on Costa so vehemently this year. Several told me it wasn't about water - Costa has long fought for valley water rights - but rather the perception that Costa had sold out to Speaker Nancy Pelosi and the Obama agenda. 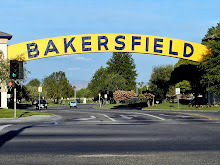 * ... OLD BAKERSFIELD: Received a thoughtful note from reader Gene Bonas who recalled growing up in a Bakersfield that was a much more simple place years ago. "I was born and raised in Bakersfield and, with the exception of the six years I spent serving our country in the United States Navy, I've lived here all my life. 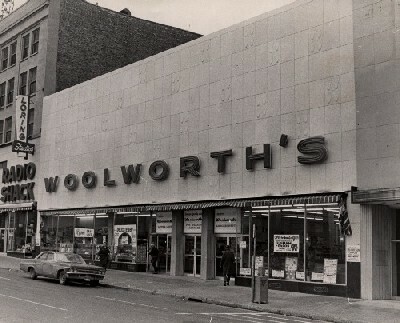 At that time it was an exciting excursion to shop downtown at Brock's, Vest Drugs, Kress, or Sears Roebuck and Company. To eat at the counter in Woolworth's or the 'elegant' dining on the second floor of Brock's was pure heaven. Sometimes, if we chose not to walk, we rode the bus to attend The Californian or Nile Theatres. Most of the time, though, we spent our 16 cents to watch the Saturday matinee at the Granada Theatre. This was at a time when east Bakersfield was a thriving community. What made it such a treat was going into Mother's Bakery and buying a dozen glazed donuts (George always gave me a baker's dozen), buying a milkshake at Hall's Drive-In, having lunch at the Knotty Pine Cafe and playing the juke box from your table, or Snider's to see and drool over the latest in bicycles. Saba's was and continues to be the place for quality clothing. I honestly believe I grew up in the best of times." * ... FIRST FRIDAY: Time for another First Friday and it looks like the weather will cooperate. A lot of downtown businesses will remain open through the early evening, including Ellie Jay's Children's Boutique, Kuka's Folk Art, Dagny's Coffee, Art Express, the Bakersfield Art Association Art Center, the Spotlight Cafe and of course the Fox Theater. 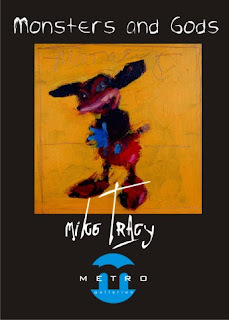 Over at Metro Galleries on 19th Street, former Disney animator Mike Tracy's intriguing work (the show is called Monsters and Gods) continues to be displayed. 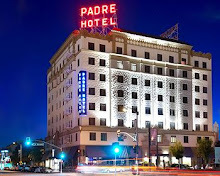 At the Padre Hotel you can take in hand painted pottery by local artists and celebrities.And don't forget our downtown eateries that always need our support: Uricchio's Trattoria, Mexicali and Mama Roomba, among others. * ... ADULT LITERACY: Another example of the generosity of our community comes from Donna Hylton, head of the Kern Adult Literacy Council. She reported that the Read to Succeed Brunch raised over $20,000 for the council. "It really is a miracle in this economy," she said. "All proceeds go to the 3,500 students at 56 sites around Kern County. 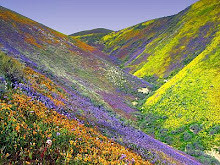 If everyone gives a little bit it really makes a big difference." * ... BAD FORM: More reports of bad form on Halloween. This comes from Evan Jones: "A group of pre-teen boys came to my door Halloween night and got a little rowdy. I heard 'BAM, BAM, BAM! DING-DONG! DING-DONG! GIVE US YOUR CANDY!' Whatever happened to 'trick or treat?" * ... TASTE OF HOME: Never too early to get tickets to the annual "Taste of Home" cooking show that will be held Tuesday, November 16, at Rabobank Theater. This is a popular event that sold out last year. Tickets are $13 each and doors open at 3 p.m. Call Ticketmaster at (800) 745-3000. 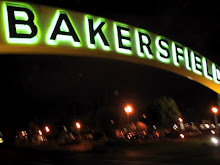 * ... BAKERSFIELDISM: You know you're from Bakersfield if "you grew up in a family that dined at a Basque restaurant every Saturday during your childhood." To tie a couple of your items together, back in the day Gene Bonas wrote about, we had two trick-or-treat nights in Bakersfield. Oct. 30 was Gate Night, and it was almost as busy as Halloween. "Gate Night" had something to do with removing someone's gate who didn't pass out the candy, so it must have had a rural origin.